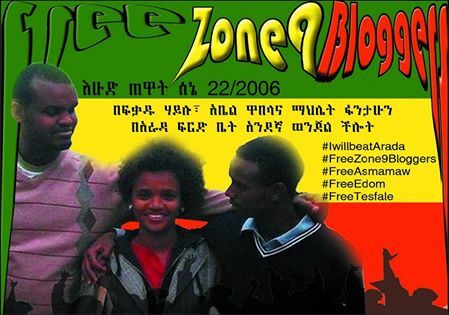 The staged ‘hearing’ of the three bloggers Abel, Befeqadu and Mahlet concluded with another appointment for 6th time. The dramatic Sunday morning hearing was adjourned before it even started a the court registrar did not show up for the hearing but yet again set to continue as the registrar popped up out of nowhere. The judge decided to proceed with hearing that did not last for more than ten minutes and the hearing is adjourned for Monday 14th of July 2014 even though the police asked for more additional two weeks. The hearing started at least thirty minutes later than its scheduled time. More than 300 hundred people have appeared to Arada First Instance Court to show solidarity with bloggers among which two individuals who tried to take a picture of the bloggers while they are being escorted to the court room are detained by the police. The fate of the detained individuals is not instantly clear. 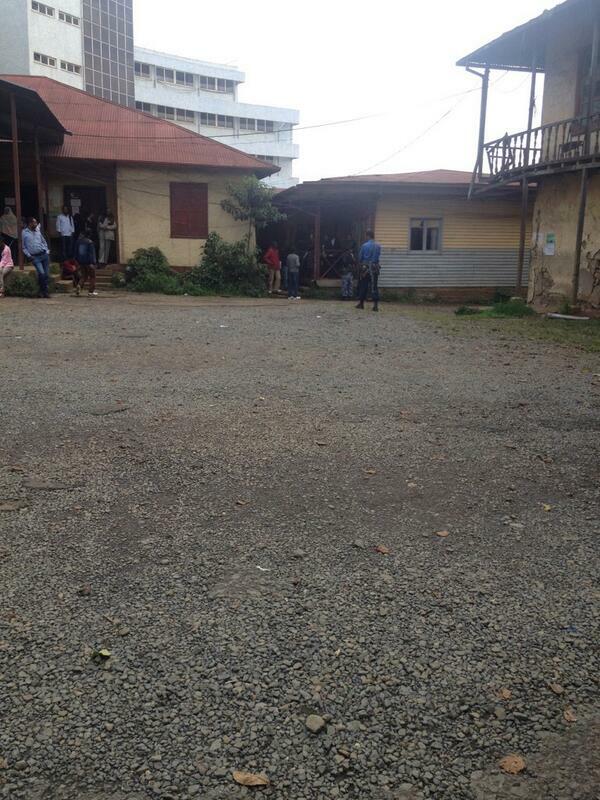 However eye witnesses detailed through their Twitter that individuals were harassed by the police. Attendees reported that the security was intense and the police forced them out from court ground. 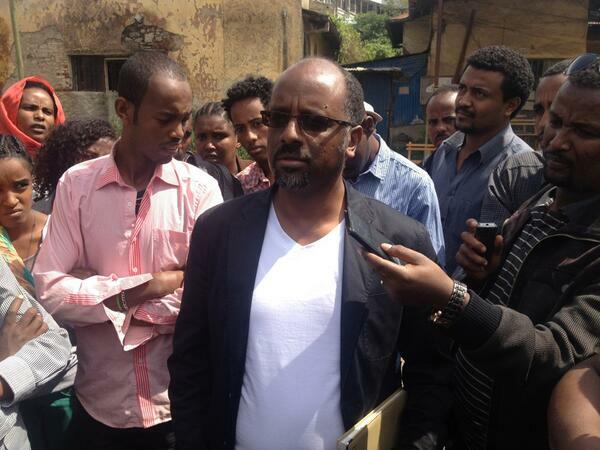 Befeqadu Hailu reported to the court that he is made to make false confessions. He told the court anything which will come against him is not his confessions. The people who are forced to attend the hearing from a distance are frustrated and they compare the situation with an occupied militarily zone. The attendees waved their hands in greetings and give a message of support while the bloggers being escorted to the court room but police denied the crowd not to greet them by making the bloggers stay in the court room until crowd dispersed. This is all we have for today for more details please follow the #freezone9bloggers hash tag with still lively thread of discussions. From inciting violence using social media to working with foreign NGOs to activities related with terrorism are swiping accusations brought to Zone9 bloggers and journalists since the last week of April 2014. 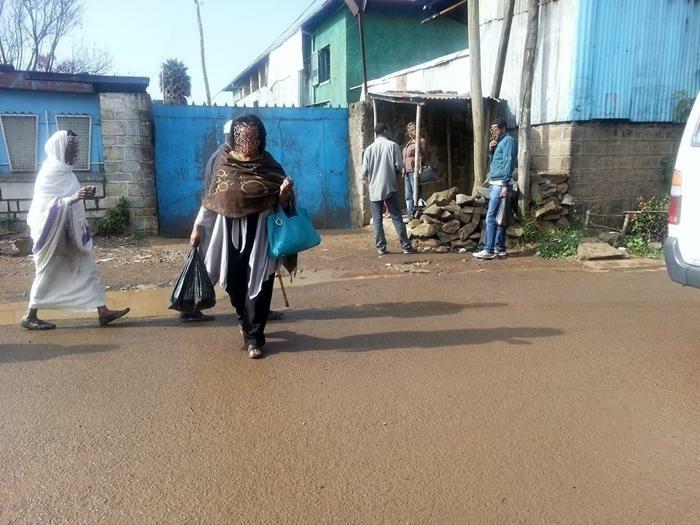 Zone9ers have spent the last 65 days without a meaningful ‘legal’ charge in pre-trial detention centre called Maekalwi located in the center of Addis Ababa. Q: I just want to know why does Ethiopian government have taken so long to at least ‘properly’ indict the detained bloggers. This is a very broad question which raises core issues about the genuinenity of the Ethiopian Justice System. Apparently, the government failed to invent ‘evidences’ which could support their accusations. That’s why, we say the bloggers arrest is political and the delayed procedure will even strengthen its political nature. Q: What reasons have been given for the extended pre-trial procedures or hearing? Q: So what is this pre-trial procedure or hearing you are talking about? It is procedure of keeping people in custody before the start of their trial. In common law tradition it is called remand. It is assumed remand prisoners are not guilty until proven otherwise but in Ethiopian justice system most of the time it is the inverse- you are guilty until proven otherwise. Q: But how long should it take? Is there a time limit on this procedure? Well it depends from country to country I heard an Ethiopian law expert saying it should not take more than four months. Q: Are you saying the bloggers will get released if the investigators could not cook up kind of charge until this time cap? Officials have already determined the guilt of the bloggers and journalists. These procedures have their only goal to present the accusation to the public as an impressive example and as a warning to other would-be bloggers. That is the reason why the government is always talking about the collaborators of the bloggers. The intention is to make this procedure to be retributive rather than a proper hearing building up into trial and also conducted for propagandistic purposes. Families and friends who need to visit their loved ones have to wait until 9:00 am in a rear gate. Then they will be asked to leave after a while. In a country where citizens have a limited chance of visiting inmates these kinds of chances are like oasis and people will stay until the end‏.